Year-round HUNTING SAFARIS are an adrenaline rush at PARKER RANCH— and we’re not talking about hunting rabbits, here. POLYNESIAN BOARS flourish in rolling grasslands and dense forests, and SPANISH GOATS roam in rugged terrain. BILLIES carry up to 36-inch antlers and weigh 200 pounds, while GAME BIRDS AND TURKEY HUNTS are seasonal thrills as well. EXPERT GUIDES help in field dressing the animal, and the ranch can provide a list of island TAXIDERMISTS. Beverages and snacks are supplied on all hunts, as well. HAWAII HUNT AND KAMP, for example, is an eco-tourism company in Kailua-Kona offering entirely CUSTOMIZABLE HUNTING AND HUNTING ACCOMPANIMENT TOURS tailored to your needs. Their multi-day hunting tours begin with a range day of practice shooting, then after sharpening your shooter skills, the opportunity to go wild on hunt day. Your guide will take you on location, where you may find axis deer, Rio Grande turkey, black Hawaiian sheep, goats and POLYNESIAN AND RUSSIAN BOARS camouflaging themselves from view. 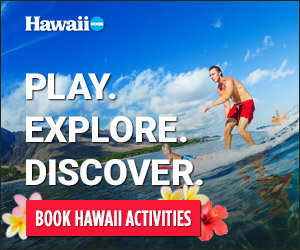 Visit hawaiihuntandkamp.com. Call the ranch at (808) 885-7655 or (877) 885-7999 to inquire about necessary HUNTING PERMITS AND LICENSES and to make reservations. Or visit the Parker Ranch hunting website at hunt.parkerranch.com for full explanations regarding hunts, pricing and ranch do’s and don’ts.